Please take a look at some of the exciting events to be taking place at St Francis Xavier's R.C School. This section is updated regularly by the teachers and members of the School Council. 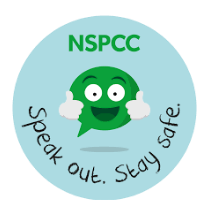 In every year, children practised "Giving Something Up" for charity. Children collected old toys, made items to sell (including biscuits, boxes and name tags) and made games to raise money for those less fortunate than ourselves. 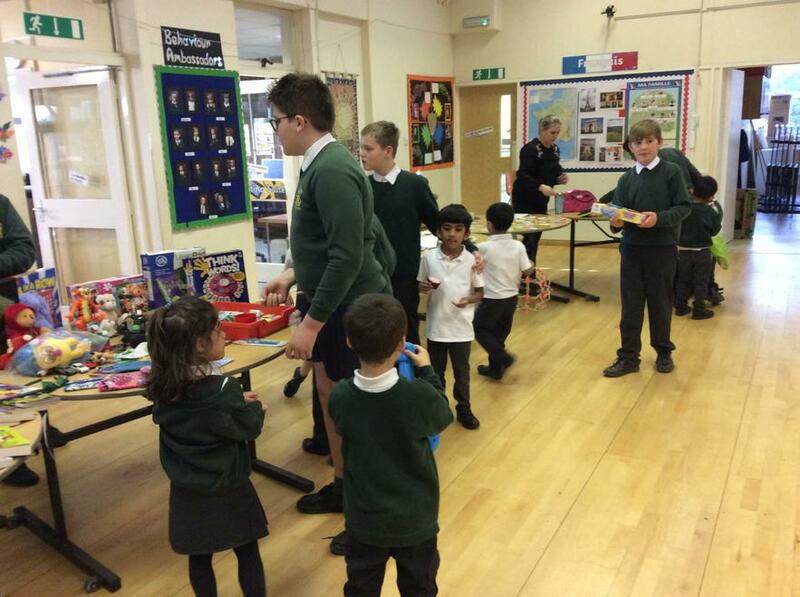 In the afternoon, children from KS2 accompanied children from KS1 around the different stalls. Well done to everyone for raising hundreds of pounds for a great cause! 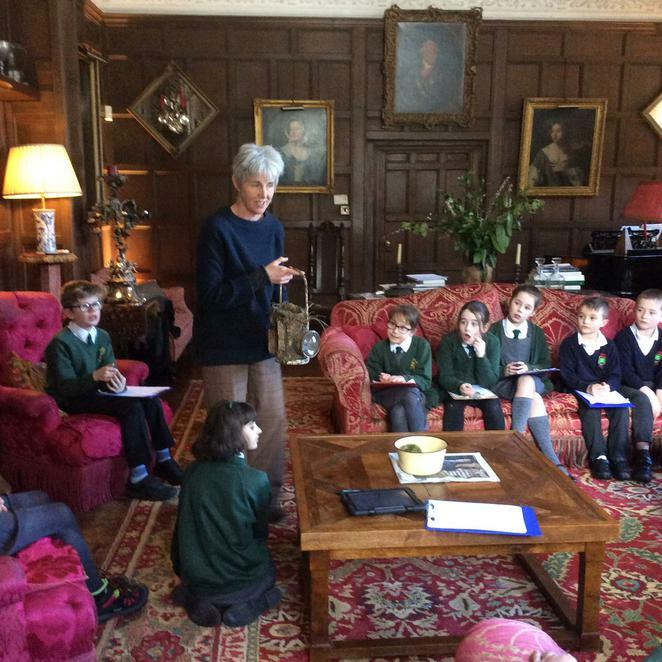 Children in Year 5 attended Ledbury Poetry Festival where they took part in three workshops with different poets. The children wrote and performed their own poems. Well done! 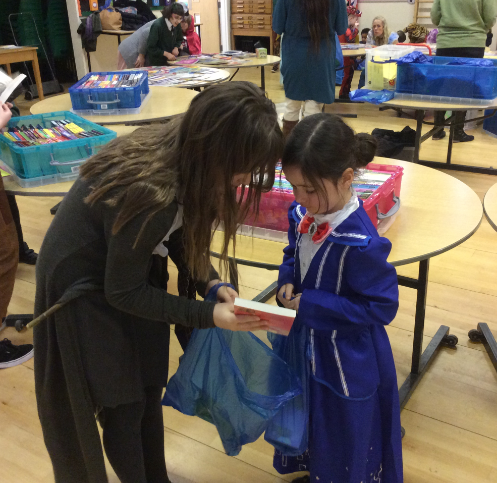 Despite the snow, children and teachers at SFX dressed up as their favourite characters from a book. All the children went to the Book Fair and had the chance to purchase a book. The teachers went to another class to read them a story which all the children loved! On Friday 16th February, the whole school were treated to an amazing performance of Jack and the Beanstalk by the Year 6 Drama group who have been working very hard with Mrs Gordon in their afterschool club. There were lots of laughs, cheers (and even some boos) from the captivated audience. Well done to everyone who took park and the children for being a great audience! 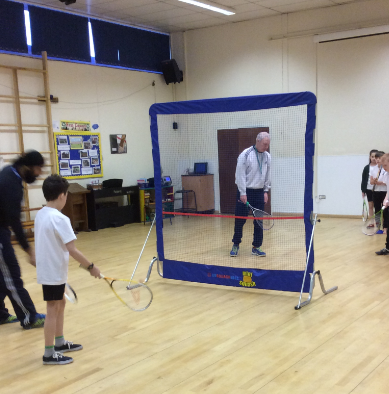 A big thank you to Tej and Tom from Whitecross Squash Club who came and delivered a taster session to Year 5 children. This was a fantastic opportunity for children to experience a new sport and keep active in a fun way! To celebrate Shrove Tuesday (Pancake Day!) 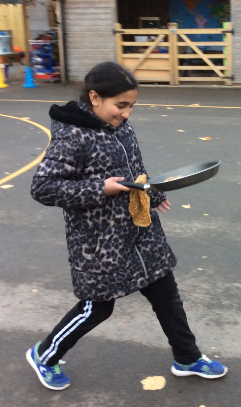 each class had a relay pancake race in their houses. We had lots of fun! Well done to the winning houses in each class and to everyone for taking part. 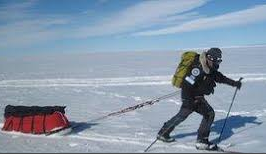 On Friday the 9th of February, we received a visit from Mark Wood who is an inspirational explorer. He motivated us to do things that scare us to help us conquer our fears.He told us stories about his solo expeditions to the north and south pole and even showed us a polar bear's tooth! Workout which involved us completing a cross-country run. In each class a bronze , silver and gold medal was awarded. Not only was it really fun and good for us, but we raised a lot of money for a charity which is very special to us! This week all the children tried to travel to school in an active way. 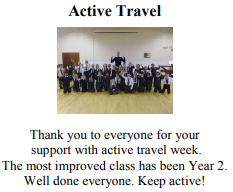 Each class walked, biked, ran and even travelled by scooter every day to try and become more active. We talked about the benefits of exercise on our bodies and the environment too! On Friday the 19th of January, year five boys were fantastic ambassadors for St Francis Xavier school. With Mr Richards they went to the Point4 to participate in the footsall tournament. 3-0 win. Overall, the team came third and even won their friendly match 10-2. The boys showed it is really important to work as a team and to represent our school using beautiful manners. Well done, we are proud of you! A big thank you to Mr Richards and Miss Hall for organising the event. A big thank you to all the children and families who participated in our 'Maths Eyes' challenge! During the holidays, children were set the challenge of recoginsing and capturing maths in their everyday life and some of the enteries were outstanding! What will you see with your Maths Eyes today?